Hi, thanks for visiting! We’d LOVE for you to hang around. 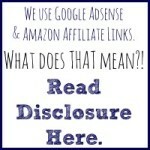 Like us on facebook or follow our pinterest boards to be sure you don’t miss an update! Pots, pans, and wooden spoons make for great baby band instruments. But the kitchen junk drawer has lots of potential for older kids, too. Here are five ways to repurpose kitchen utensils into toys for kids. 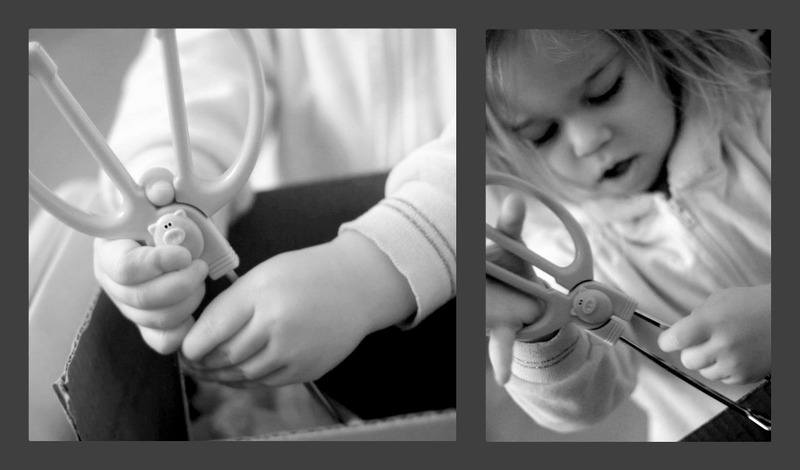 1) Tongs help toddlers improve fine motor skills. Believe it or not, we didn’t own any tongs! So the toddler picked out these. She then engrossed herself in picking up pieces of foam and dropping them one at a time into a cardboard egg carton. It’s hard work! Sometimes two hands are required. 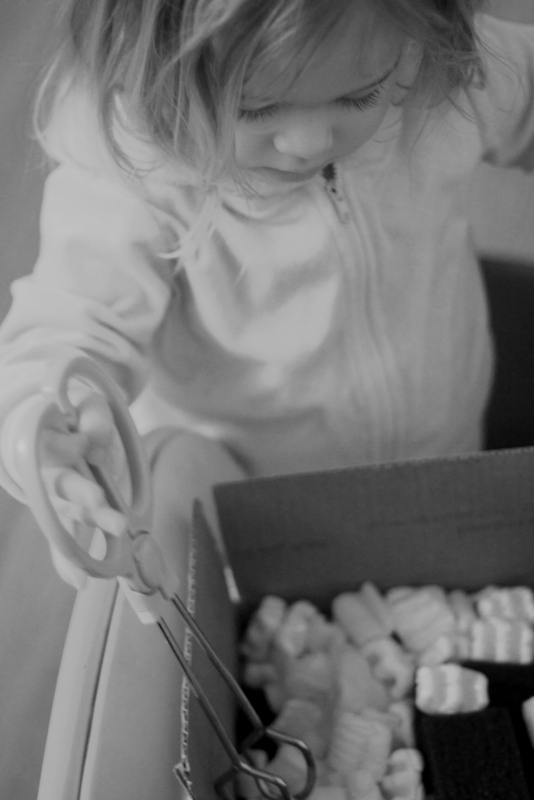 You could also use pom poms, cotton balls, legos, bouncy balls, packing peanuts, or small pieces of fabric. 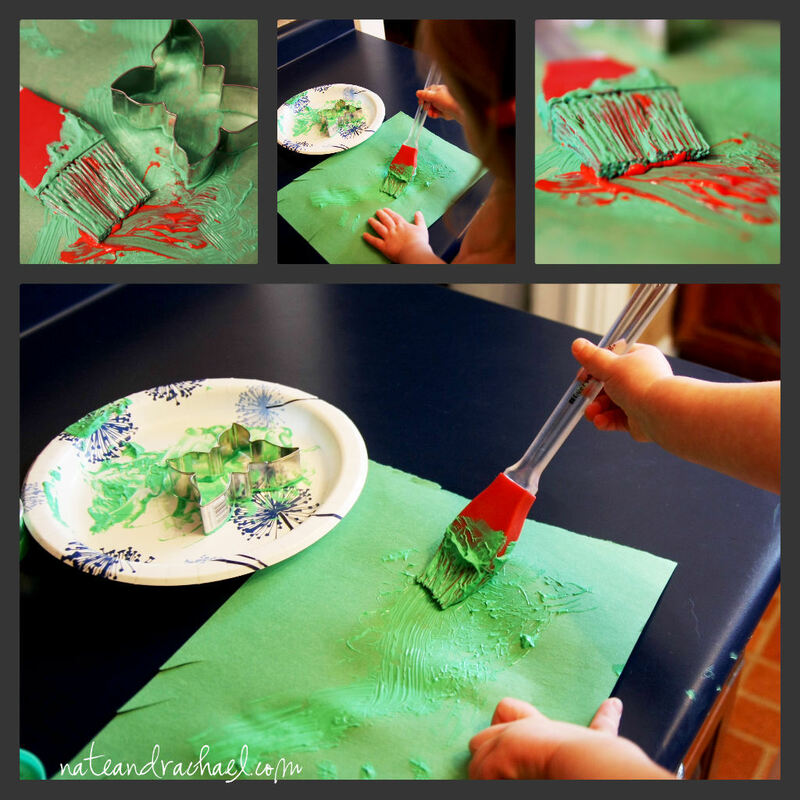 2) A basting brush and a cookie cutter add interesting textures to artwork. No, this wasn’t a Christmas craft. She just wanted to use red and green. Go for it, kid! 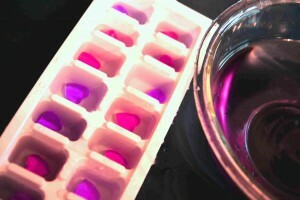 3) An ice cube tray and a measuring spoon can satisfy a child’s urge to scoop, dump, and pour. Add a few marbles or gemstones, and you have everything you need to practice counting and one-to-one correspondence. We also threw in a color mixing “lesson.” Red food coloring + blue food coloring = purple water. 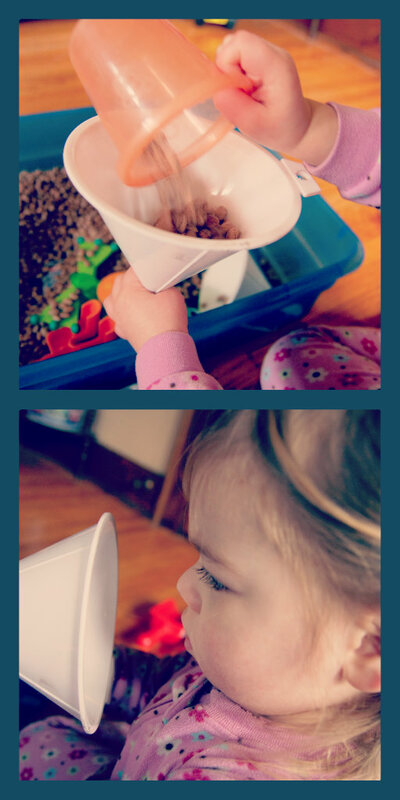 4) A funnel is a natural addition to a sensory bin. 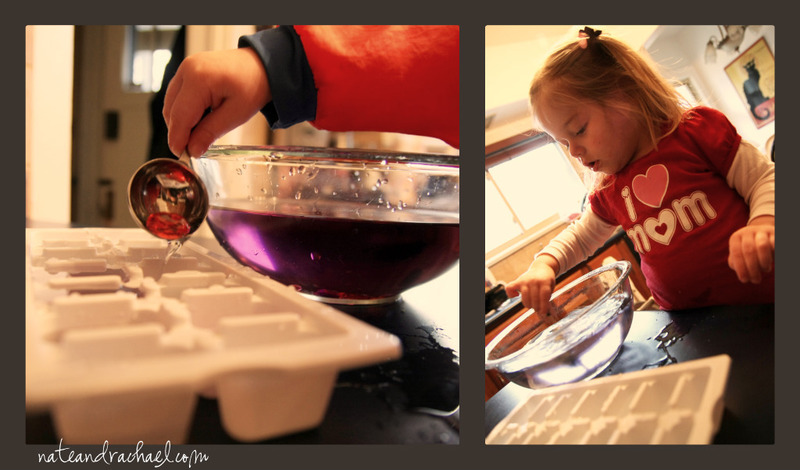 5) And the kitchen sink makes for a perfect indoor, winter water table. Just add water, soap, mixing cups, ladles, and spoons! I just loving stuff around the house to create fun experiences for kids. We us funnels in pour sand and water table too. We get them at the dollar store. Awesome! Thanks for stopping by. 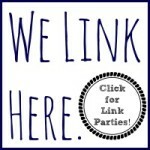 The other day I was looking at (and repinning) your “20 uses for contact paper” post. Where do you find it in the dollar store? What section? For some reason, I’m having trouble finding contact paper!